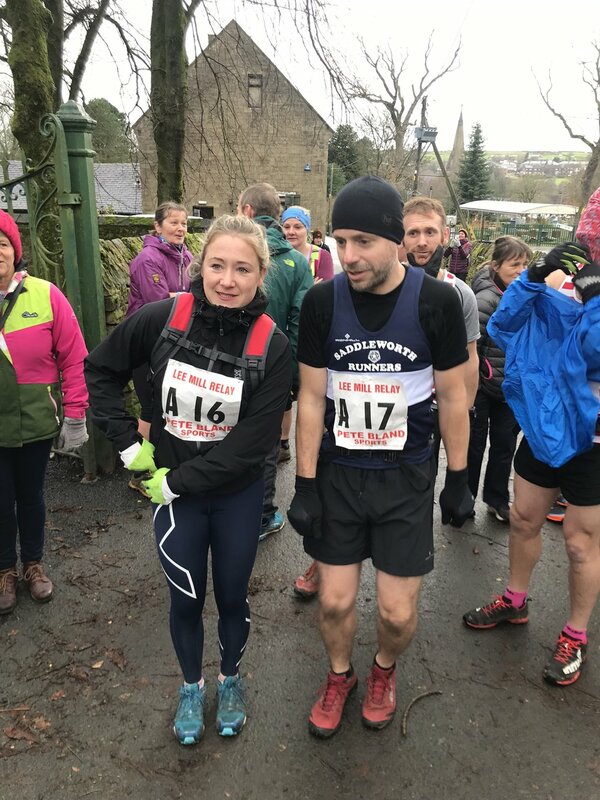 Well, that time of year again when I run in the Lee Mill Fell Relays at Bacup. 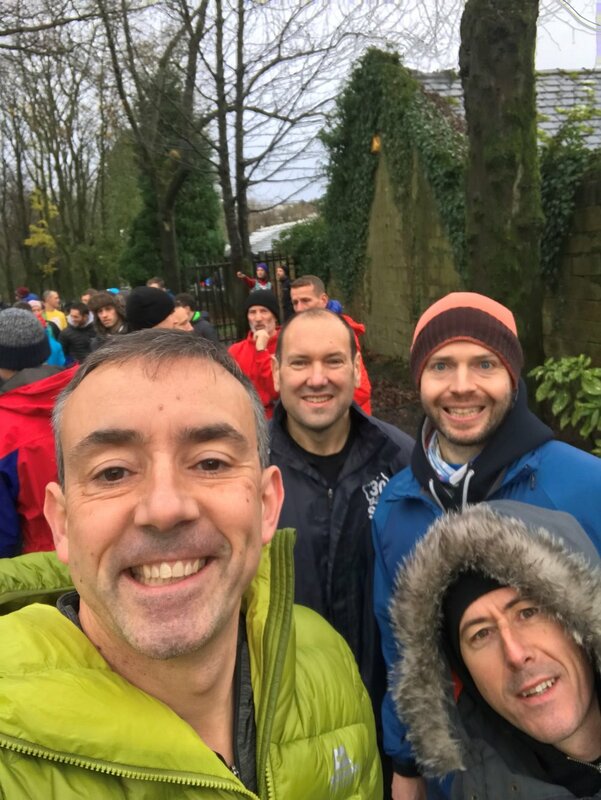 This year the Saddleworth Runners fielded two teams. Team Sausage R1: John Haigh, R2: Christopher Roberts, R3: Adrian Sell, R4: Peter Cobley. 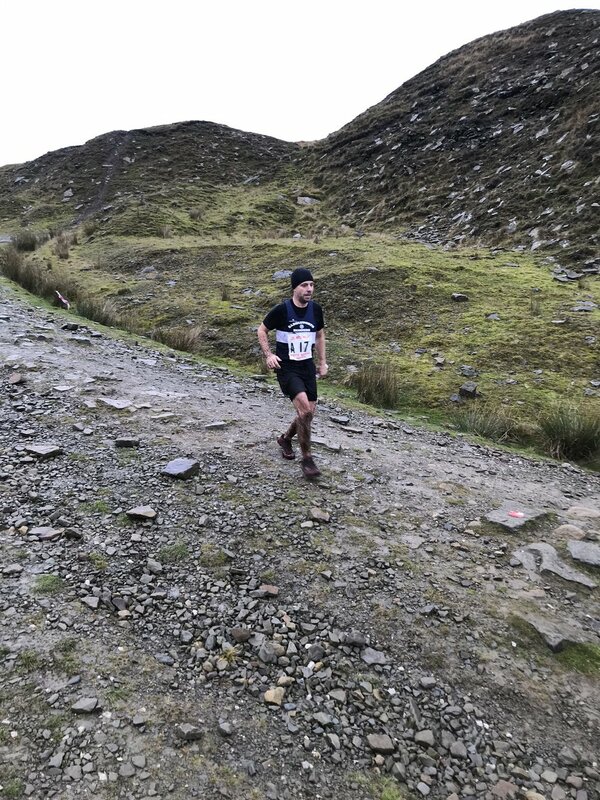 Bits and Bob R1: Bridget Lancashire, R2: Kevin Jones, R3: James Sheard, R4: Nick Haynes. 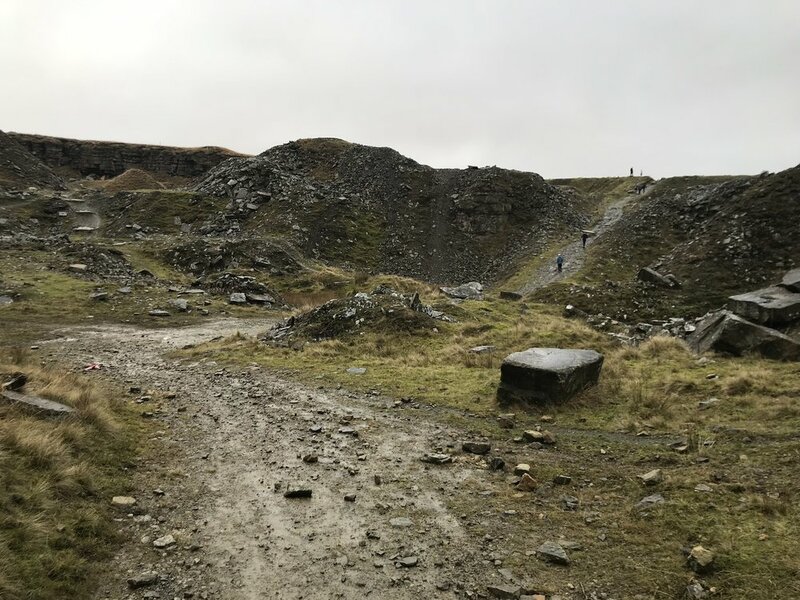 The Lee Mill Fell Relays is a cracking event run across the quarries (now MTB sites) and moors above Bacup, and is notorious for the weather being atrocious on the course and making for challenging running over the 6 mile course and it’s 1.3k feet of climb. It can be boggy in places and capable of swallowing runners whole. It’s a great atmosphere of a race with plenty of clubs participating from local and not so local. 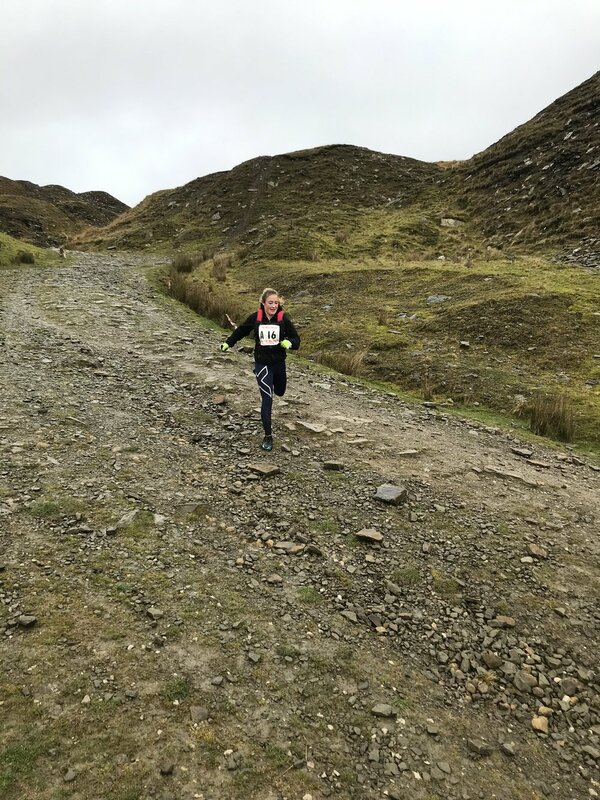 A team is made of four runners and can be mixed and all are usually from the same club, sometimes brave souls run twice! Runnner A sets of, then hands over to B, and so on. The combined times of the four teammates decides who wins, the competition; naturally the fastest. 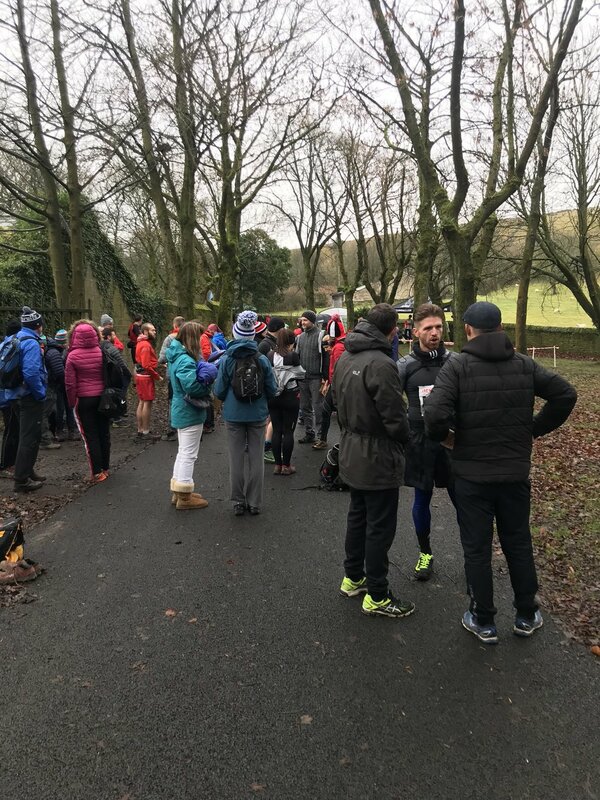 The event is legendary for the weather being harsh during November on exposed moorland and in past events runners have needed to be rescued or carted off to hospital with hypothermia. 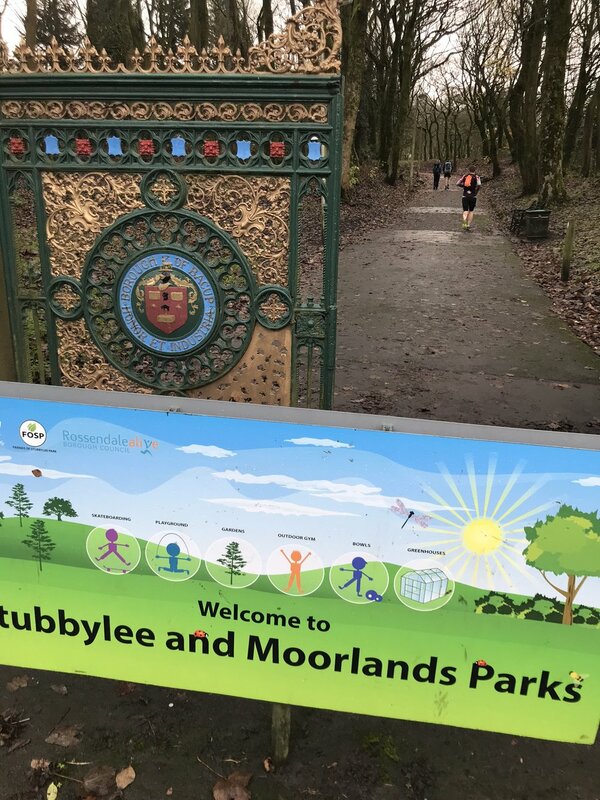 So, the new runners to the race were pleased that a cold overcast day was classed as positively tropical when compared to previous years. Below is a photo and video collage from 2015 when the weather was bad, very bad, and I was running. I can be seen 10 minutes into the video approaching the highest point of the course, the trig pojnt at Top of Leach (see the OS map).